Matt Davis’ fans from “The Vampire Diaries” are definitely going to check out The Cult. I am definitely a fan of Robert Knepper and can’t wait to see his character. He plays the best villains. Let us see how The CW’s The Cult compares to The Following. The CW has released a new set of promo posters for season 4 of The Vampire Diaries. Poster #1 features Elena and Rebekah with a serious bad hair day. Poster #2 has Katherine, Jeremy, Bonnie and Klaus as a reflection in a mirror. I only see one Salvatore brother making me think what has happened to Damon? 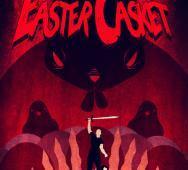 Dustin Mills’ (The Puppet Monster Massacre, Zombie A-Hole) latest project Easter Casket now has a red band teaser trailer to watch. Nicholas Hoult will be hitting 2013 movie theaters hard this year. Nicholas Hoult is in zombie romance horror movie Warm Bodies (February 1, 2013) and also Jack the Giant Slayer (March 1, 2013). 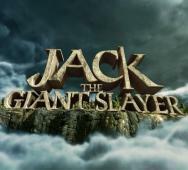 Also to star are Eleanor Tomlinson, Stanley Tucci, Ian McShane, Bill Nighy, and Ewan McGregor. I want to see this one for the visual effects and a curiosity to how the story plays out. The CW okay’d Julie Plec (The Vampire Diaries) and Greg Berlanti (Arrow) to create a new pilot for the sci-fi themed The Tomorrow People. Berlanti and Plec will be the executive producers for the new TV series. Phil Klemmer (Chuck) will also executive produce the series. The Tomorrow People is an adaptation of the cult British 1970s sci-fi series. 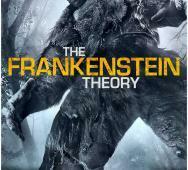 Frankenstein Theory is directed by Andrew Weiner and stars Kris Lemche, Heather Stephens, Eric Zuckerman, Brian Henderson, Joe Egender and Roger Morrissey. 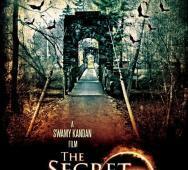 Image Entertainment will be releasing this horror movie to VOD and in selected theaters this March 1, 2013. The DVD release will be March 26, 2013. Travis Romero‘s latest flick Treachery is looking very interesting. The upcoming horror movie stars Michael Biehn, Sarah Butler (I Spit On Your Grave), Caitlin Keats (Kill Bill 2), Matthew Ziff (Among Friends), Chris Meyer (Kiss of The Damned), Richard Gunn and Jennifer Blanc-Biehn (Dark Angel). 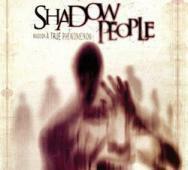 Anchor Bay will be releasing Shadow People Blu-ray this upcoming March 15, 2013. I for one am looking forward to this release as the trailer really impressed me. Shadow People stars Dallas Roberts (The Walking Dead, The Grey, Rubicon), Alison Eastwood (Midnight in the Garden of Good and Evil, Tightrope), Anne Dudek (Mad Men, White Chicks, 10 Items or Less), and Mattie Liptak (Quarantine 2, The Candy Shop). 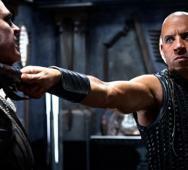 Take a look at the new movie still at Vin Diesel Riddick and feel the intensity. You bet I am waiting to see this installment of Riddick. 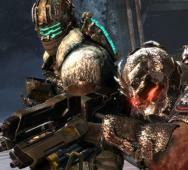 David Twohy returns to write the script after already writing the scripts for past Riddick movies; The Chronicles of Riddick and Pitch Black. I need a trailer now Vin Diesel; get on them to get something else out because we want more! NBC‘s Grimm will not be returning until this upcoming March 8, 2013. 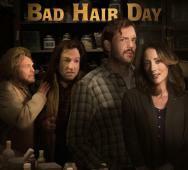 The folks over at NBC have been kind enough to release a web series Grimm Bad Hair Day. The four part web series now has the second web episode available to watch online. Check out the new episode 2 “A Helping Hand” and the past episode 1 right here. In this episode Monroe tweaks the hair growth potion he’s concocting for Bud, an Eisbiber. David Chirchirillo directs and Trent Haaga stars in 616: Paranormal Incident. Trent directed BD Selects Chop so lets see what he brings to the table in the form of acting skills. 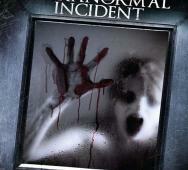 This horror film will be available on Redbox this upcoming February 5, 2013. The trailer sets a good preview into what may be a good horror movie to watch. Paul Hyett’s The Seasoning House is looking amazing. There is no official word yet on the US release but the horror film definitely has some potential. Take a look at the sales poster and watch the official trailer below. The film stars Rosie Day, Sean Pertwee (Event Horizon, Dog Soldiers, Equilibrium), Kevin Howarth and Anna Walton (Hellboy 2, Mutant Chronicles). Check out the synopsis and full details for Kill For Me starring hot girls Katie Cassidy and Tracy Spiridakos. We have the artwork, press release, synopsis and special features for this upcoming horror home video. Dimension Films is about to release it’s upcoming sci-fi horror movie Dark Skies. Check out the info graphic that they have released that focuses on some unexplained mysteries phenomena in the past and present. Keep an eye out for this release starring Keri Russell and Josh Hamilton making waves this upcoming February 22, 2013. 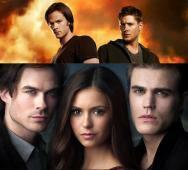 See what The CW will up to this Valentine’s week with our favorite TV series Supernatural and The Vampire Diaries. Full details on Supernatural Ep. 8.14 Trial and Error and The Vampire Diaries Ep. 4.14 Down the Rabbit Hole below. 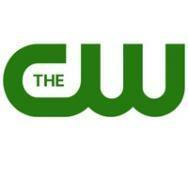 The CW will be premiering The Cult this upcoming February 19, 2013. EW has released some new artwork and we have also included the teaser promo for good measure. Take a look at them for yourself. This TV series looks like it will be a great mind bender. 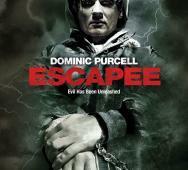 Anchor Bay Entertainment will be releasing suspense thriller serial killer Escapee. The Blu-rau-ray and DVD will drop April 16, 2013. Escapee is written and directed by Campion E. Murphy. Escapee stars Dominic Purcell (Blade Trinity, The Gravedancers), Christine Evangelista (The Joneses), Faith Ford, Melissa Ordway (Ted) , and Carly Chaikin (Suburgatory). Blu-ray is for $24.99 and $22.98 for DVD.